What do I wear to Bowen Therapy? While it is better for the client and Bowen Therapist to work on skin, Bowen therapy can also be performed over loose, light clothing. Please wear something comfortable, loose and light. Shorts and a tee shirt are ideal if you feel comfortable. Do I need to bring anything when I get my treatment? After having your treatment, it is recommended that you drink plenty of water to remove any toxins released by your body during treatment. A waterbottle will be helpful for you to continue to keep your water intake up as you travel home. 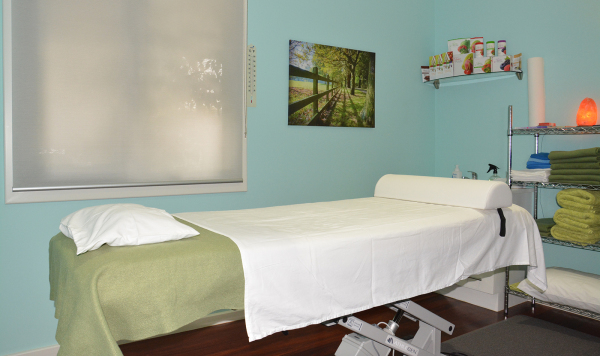 While you should feel the benefits of your treatment after just one session, most people benefit from at least 3 or more sessions for great results, depending on your physical needs. For people with ongoing issues or ailments that have been present for a long time, you may need more sessions to reap the full benefits. Your therapist will be able to advise you how many sessions he recommends for you specifically during your first treatment. Can I have Bowen Therapy alongside other physical treatments? Due to the nature of Bowen Therapy, your body continues to heal and align itself after the treatment has ended. If you currently have other therapy such as Chiropractics or optional Physiotherapy, it is recommended to have at least 5 days between treatments to allow the full benefits of the treatment. Many people find that they can replace these other treatments with the gentle Bowen Therapy sessions altogether. It is also advisable to leave 5 days between each Bowen Therapy treatment session if you are having a series of Bowen treatments. Does the Bowtech style of Bowen Therapy hurt? Bowtech Bowen therapy isn't like traditional massage. It relies on very specific, gentle moves and soft muscle manipulation and light stretches. Unlike massage, you won't feel bruised and sore afterwards. It is very safe and gentle for people of all ages, from babies to elderly, and is even safe and beneficial for pregnant mums-to-be. The Bowtech style of Bowen Therapy is also known as 'The Original Technique'. For more information on what Bowen Therapy is, and what is can do for you please see Bowen Treatment. If you have any other questions or concerns regarding Bowen Therapy Treatment, please feel free to contact us for assistance.